It’s a pleasure to welcome Eugene Maree, who is the founder and group CEO at Wealthport. Eugene, thank you for chatting to us today. Please can you highlight, based on your expertise and opinions, the trends that you believe we are set to see in 2019, specifically with regard to the investment industry space? Thanks, Gareth. I think if you look over the last few years, and certainly with difficult markets, we’ve seen lots of changes happening in the investment industry. Some of those changes will continue. When we started our business, going back 6 to 7 years ago, there were still discussions about things like active and passive debates. Should we go active and passive? Those things have moved on. So, I think one of the things we’re going to probably see in 2019 are moves towards different types of products. Certainly, the alternative investment market has grown, with things like structured products and, again, I want to just categorise the structured products – there are two types. There are those that are wrapped in life-wrappers, and one must be very wary of those because they’re very cost heavy unless there’s an assessed tax loss in those. Then there are structured products that are made by banks. 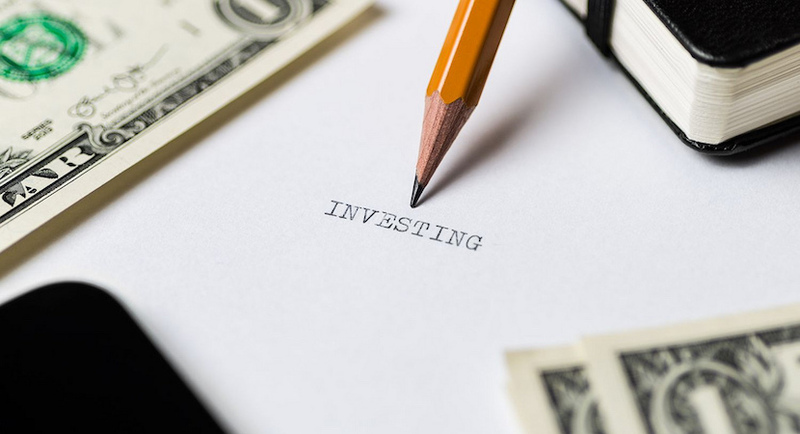 Their clients are starting to say, ‘well, I’m prepared to forego a little bit of the upside for some sort of capital protection.’ This type of market often leads to that. Again, when you get down to the old passive and active debate – that doesn’t need a debate anymore. You see so many more people using passive. The debate is now, ‘how do I mix passive in with my active managers?’ I think these are trends that are going to continue because we’ve had years of dominance of the unit trust industry, where it’s only been unit trusts or both. I think the evolution of products is certainly going to change that because, in fact, a lot of the unit trust managers have let clients down. You just have to look at what S&P says in their latest SPIVA report, which is the S&P Index Versus Active managers, and you’ll find that 85% of the managers don’t beat the index, and they’re charging a lot more for it. So, clients are starting to wise up and say, ‘well, why am I paying for that?’ I think if you look in the investment universe in SA, where you have 440 stocks and of those probably only 110 are really liquid. Yet we have 1 500 unit trusts so, I think that complexity and the fact that there are so many unit trusts out there — and many of them are not delivering on their promise — is driving clients to learn more, to be far more educated, and to provide the opportunities from the buyers that come up with smarter products that are more tailored to the environment and to their clients. And certainly, we’re seeing more things like 12J come along. Those are new opportunities and I guess, you must be wary about those as not all 12J’s are equal. But with all these products what I do urge investors to do is to get good advice because some of the things might be unfamiliar and with good advice, you could be guided down the right road. Some of the other things I see happening is that pressure is going to come on fees and you’re going to see that more because in a low-return environment when you’re paying 3.5% in fees, it’s just not doable anymore. Again, if you’re a retired individual you must remember if you are drawing down 5%, you’re effectively drawing down 8.5% because you’re paying 3.5% in total fees. Now, when you get those fees back down to 1.5%, suddenly what happens is that you’re seeing that 2% from your 8.5% drawdown and you’re getting 7%, which is nearly a 40% increase in income. The fee debate is becoming critical but I think fees are becoming more important and clients are starting to become aware of the impact that fees have. When markets are returning 20% plus, people don’t notice, but in a market that returns 10% or 12%, those issues are big. Then I think one of the other trends is the move toward tech. I think tech is going to play a massive role. I saw the acceleration of that over the past year and I think that’s what’s going to happen in this year again. We, in the know, are talking to a lot of guys that are building and doing stuff for other providers, tech is, therefore, going to be one of the big players this year. It’s still early days, but the adoption rates and certainly the interest in what tech can do is phenomenal. I think that’s going to change the way clients start investing and just allow them to become far more educated around investing. What impact will these trends have, especially for the broker market? The broker market has always been divided into the debate of ‘the robos are coming’ and you get this picture of these robots arriving and these brokers are being chased out of town. And I think that’s not the case. I think for the broker market this is going to provide some unbelievable opportunities. I think what happens here is the broker market must look at this as part of the evolving industry, and tech isn’t here to replace brokers. So, let me give you a simple example. If you look at what tech can do, in terms of heavy lifting, it makes it easy to access transactions. We make transactions more simple and make them more secure, help report better, give you access to wider markets to be able to consolidate all your investments and your life into one environment – that’s the role tech plays. So, does that take away from the provider? No but here’s the difference. If you’re selling commodity products, if you just happen to sell let’s say only life insurance and that’s all you do and you don’t really provide a lot of advice, then you are going to be threatened. Because there’s no doubt that technology is going to be able to do that. Where it comes to commoditised products, where it becomes simple decision making – tech can do that quite easily. But when it comes to getting advice, it’s a different story. For the entry-level investor coming into the market, tech will be really important because in that case they’re often too scared or they’re not sure about going to an advisor. They’re worried that they’re going to be pressure sold something. They might engage in their own time and go into the tech space and start a small investment. But as their needs become more complex and they have children, and they may have Trusts and they may inherit mum or dad’s money, or they might make a lot of money themselves. So, their needs become more sophisticated and those can really only be met by really qualified advisors. I don’t think that clients are going to stop paying for advice. I think that’s what clients are going to look for. I think your better client will be willing to pay for advice, but you must be delivering advice. So, I think the role of the advisor is going to be more critical… Those that provide advice and act as real advisors will have a job, going forward, no doubt. It’s like going to a doctor. We talk about the medical industry evolving and we can self-diagnose etc. But the doctor gives advice and then he uses medication to implement his strategy of treatment for you, and I don’t see that being any different in the advice business. What we’re going to have is the real advisors are going to still have a great business, where people can go for advice. But they’re going to use products to implement the advice. But I think where you have an advisor who sits with a client, understands their family needs, the Trust’s needs, their offshore needs, their local needs, and their legacy issues – that type of advisor is going to have a job, going forward, forever. Even AI will never be able to capture the intricate things that are involved with in-person relationships between a husband and how he wants to treat certain kids differently, or he may have some certain issues or reservations, or they may have complexities within their structures – that’s for an advisor. So, I don’t think advisors are threatened… I say, advisors need to make sure that they need to stay informed, they need to understand their roles as the advisory role. Their role is not product salesmen. I think for product salesmen technology is going to hurt them, there’s no doubt. How are you seeing the investor market evolve and why, and what are some of the key considerations that need to be taken to ensure that the investment space can continue to meet the needs of the investors in years to come? I think the investment market is big and a lot more educated then it has been. I think the sad thing of it is that they’ve actually educated themselves, to a large degree. Again, I want to just use a comparison of the medical industry. If you go to a dinner table and you sit and talk to a couple of people around the dinner table and say, what causes cancer, or what causes a cold, or what causes this disease? Most people around that table will be pretty accurate. They’ll probably cover 70% of the things, and even if we feel ill or if we feel sick, we’ll often go to the pharmacist and buy some medication for ourselves, we’ll self-diagnose ourselves. Now, we prepared to take that risk because you have a level of comfort. Why? Because the medical industry has educated us well enough to be able to do that. I think if you look at how long it takes to become a doctor, it takes seven years, and to become a financial advisor – you could pretty much become a financial advisor within one or two years. But yet, if you go to that same dinner table and say, how should you be saving to have an adequate retirement, or what should be the right drawdown rate? Then it’s going to be very difficult because a lot of these guys, in that sort of situation, don’t know the answer — and why is that? The reason for that is we, as a financial services industry, have actually let our clients down. We haven’t educated them, and how can that be because these are powerhouses, financial institutions are wealthy? I get a sense sometimes — and I might be being cynical — but I think it suited the industry to keep the clients in the dark a little bit, and I think that’s why clients feel that it’s too complex. People make it too complex so they don’t engage and they withdraw. So, what I see is, we’re seeing clients now, starting to educate themselves and I think we, as an industry need to spend far more time educating clients going forward – that’s something we should be doing because if we don’t do it, they are and they’re going to see the bad side. I think we need to take a role there. I think the industry needs simplification – I think there’s a big drive towards simplicity. People are saying, there are just too many products and a lot of it doesn’t do what it said on the box. So, I think one of the trends is going to be around simplicity. The other thing is going to be around is fee sensitivity. I think people are far more sensitive around fees and so, they’re going to start asking questions. So with fees, which I often find surprising, is if you ask a client or you ask your investor, ‘so, how much are you paying?’ They actually don’t know, but if I ask them, ‘what interest rate do you pay for your home loan?’ They’ll say, 0.5% below prime or 1% below prime. So, they’ll fight aggressively to get an interest rate reduction but yet, when they do the investments, they have little idea of what they’re paying in fees. So, I think that’s one of the trends. So, we’re going to see fees coming down. I think we’re going to see simplicity. I think the demand for tech from clients is coming as well. I think, as an individual, if you go to banking today you can go online and see your balance anytime, you can transact – you can do that. If you’re in the wealth space where do you do that? You don’t see a broker; he has the file. If you want to engage with him you actually have to see him. He opens the file. He’s got emails there, back until 2005, he’s got all the information – you don’t have that. So, I think what you’re going to see is the big trend and certainly something at Wealthport and what we’ve done, is we’ve built interfaces for all our brokers to use with their clients. Where the client interfaces, where they can deal on there, where they can transact together and collaborate on a front-end portal and an interface – where you can service a client that’s sitting on a farm 300km away, you can phone him, do a screen share and you communicate. Clients want tech. They’re going to start demanding it and why shouldn’t they? Today, would you actually go and bank with a bank that doesn’t have online banking, despite how good the relationships are? People think it’s a relationship driven industry. Well, so did banking think that was the case but the moment they brought online banking in – a private banker, that’s all good and well, but if my bank had to come to me tomorrow and say, ‘listen, we’re only going to be relationship driven and we’re going to take online banking away from you.’ I would pay more to have online banking. So, I think that’s one of the trends that we’re going to see is the use of tech, with clients and advisors. It’s just a convenience thing, really. I think clients want more convenience, they want more transparency, they want to know what’s going on, and that’s the only way we’re going to get clients to engage in this industry. Just as the last question. In terms of the impact that tougher economic times have had on investors of late, in the investment space. What do you believe that we’ll see in terms of this, with regard to 2019? Also, what it does is, I think you start to see the weeding out of those guys that are really in this industry to help clients and those that were in it just to make money. I guess you’ll start to see where the expertise levels are, and I think that’s one of the things we need to see in the industry. We need to make sure that clients are looked after properly, and that’s going to come through in a tough environment, where suddenly you see those who know what they’re doing and the type of providers that clients can actually trust. I think that’s what we need; while it’s never pleasant they reset their clocks and they give the opportunity for people to engage better in the process. Eugene Maree, thank you so much for enlightening us more about the investment trends for 2019. Gareth, thanks very much for the opportunity, and thank you to your listeners.